Frankie Edgar has got more lives than a cat when it comes to UFC title fights. 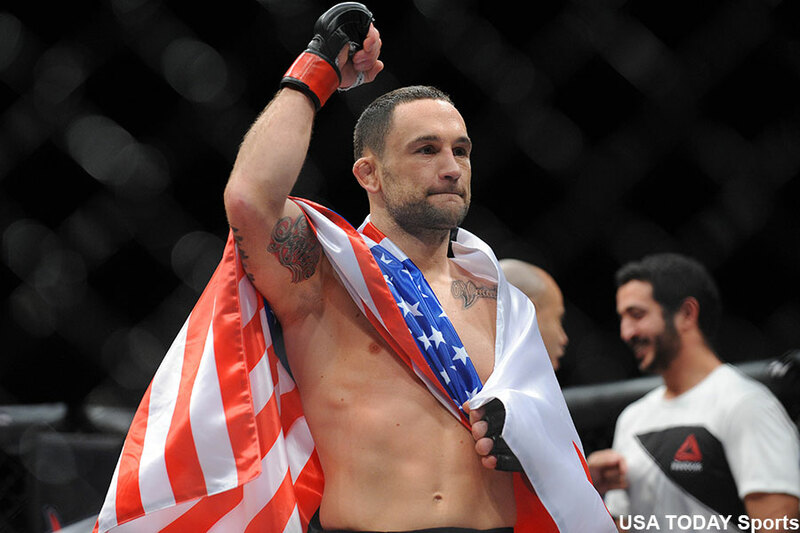 Edgar, the former UFC lightweight champion, will challenge UFC featherweight champ Max Holloway for the crown at UFC 218. This marks the ninth time in Edgar’s past 16 outings that he’s fought with UFC gold on the line. Edgar’s championship run started off hot with consecutive lopsided victories over BJ Penn to capture the UFC lightweight title. That was followed up with a controversial draw against the much-larger Gray Maynard, who Edgar subsequently knocked out cold in his next outing. However, things haven’t worked out so nicely for Edgar in his past four title bouts. He lost his belt to Benson Henderson and dropped a highly questionable split decision in their immediate rematch. Being BFFs with UFC president Dana White certainly has its perks, because Edgar was rewarded with an immediate featherweight title bout against then-champ Jose Aldo in his 145-pound debut. Edgar fell short again. He worked his way back up the mountain with five consecutive wins, three of which came in finish fashion. Unfortunately for Edgar, he lost again to Aldo for the interim featherweight trophy. No problem, two more solid wins and Edgar finds himself right back in championship lane against Holloway. Holloway, meanwhile, is arguably MMA’s hottest fighter having rattled off 11 straight victories en route to capturing the interim hardware. The Hawaiian’s last loss came at the hands of Conor McGregor. Speaking of McGregor, it’s possible the victor of this bout could land a money fight against the UFC’s golden boy. McGregor was forced to relinquish his UFC featherweight belt after winning the UFC lightweight title. McGregor still considers himself the UFC’s featherweight champ. UFC 218 goes down December 2 inside Little Caesars Arena in Detroit, Michigan.